I will not post “World’s Best” recipes with abandon. So, if I say something is the world’s best, you might want to listen. 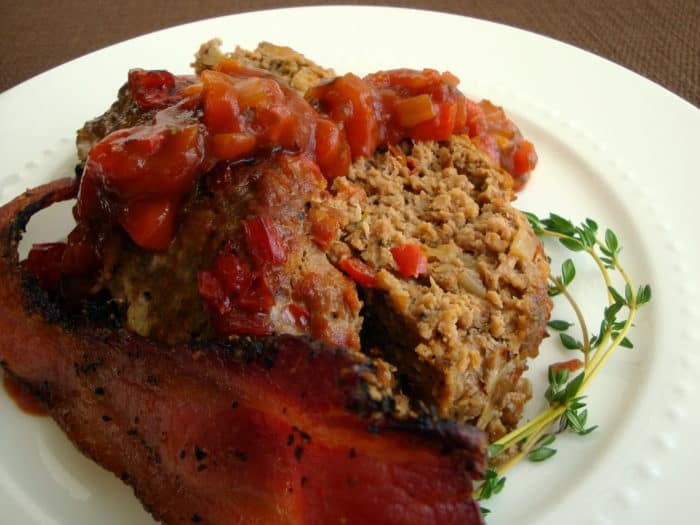 And this meatloaf is the best! According to many family members and friends, it is the best. And these people are pretty much my world. So, there you go. Proof. This meatloaf is impressive. Juicy and delicious. And I don’t even know where to begin in describing this tomato and red pepper relish. 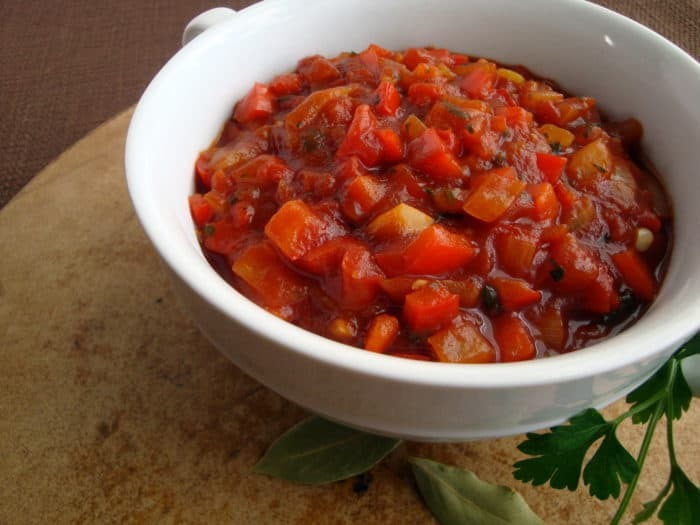 When you chop and dice and simmer them all together, in no time, you will create this amazing tomato and red pepper relish! Did I say amazing? That is such a weak description. Words fail me for the deliciousness of this sauce. Just make it and see for yourself. Tomato and Red Pepper Relish is added into the meat with fresh thyme for the juiciest meatloaf ever. More relish is smothered on top before baking and bacon gets layered on top of that. You will have plenty of relish to spoon onto each plate and then sit back and wait for the compliments. My oldest son said “Mom, you could open a restaurant with this!” Que the finale music after that comment. What more could a mother ask for? This is from the cookbook Tyler Florence's Real Kitchen. It's his dad's meatloaf recipe and after you make this you will know where Tyler got his skills. 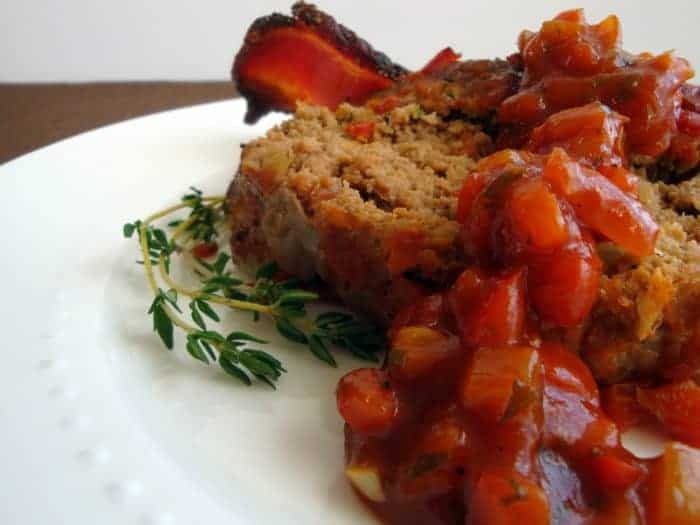 If you want to bump this meatloaf out of this world, try grass-fed ground beef or chuck. 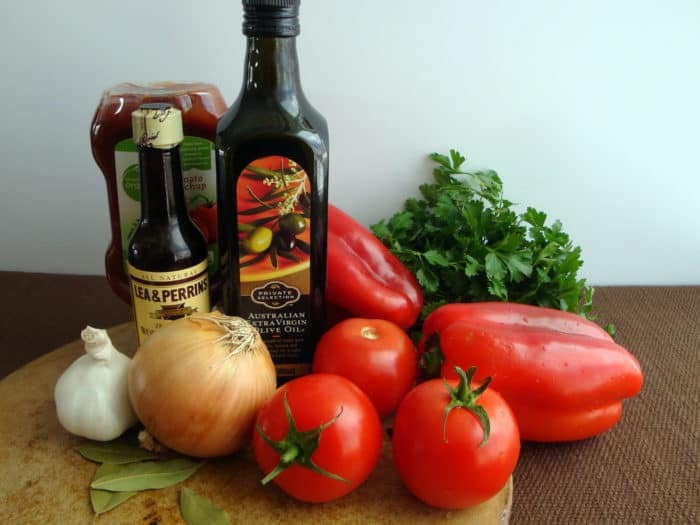 One quick tip: Cut and chop all the vegetables and herbs for the sauce before you even begin so you can add everything quickly. Coat a skillet with a 2-count of oil and place over medium heat. Saute the onion, garlic, and bay leaves for a few minutes to create a base flavor. Throw in the red peppers and cook them for a couple of minutes to soften. Now, add the tomatoes; adding them at this point lets them hold their shape and prevents them from disintegrating. Stir in the parsley, ketchup, and Worcestershire; season with salt and pepper. Simmer the relish for 5 minutes to pull all the flavors together. Remove it from the heat; you should have about 4 cups of relish. Preheat the oven to 350F. This is where you get your hands dirty! In a large mixing bowl, with your hands, loosely combine the ground beef with 1 1/2 cups of the tomato relish, the eggs, and thyme; season with salt and pepper. tender meatloaf (and meatballs, but that's another recipe). You want all the ingredients mixed well but use a gentle hand. 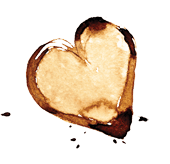 That is one secret to Add the bread crumbs in stages, starting with 3/4 cup; you may not need all of them. I just keep adding until the mixture is still pretty moist. Most times I only the 3/4 cup of bread crumbs. Turn out your meat mixture onto a baking sheet or roasting pan. Mold loosely into a loaf shape. Cover with another 1/2 cup of the tomato relish. Lay the bacon across the top lengthwise. During the last 5 minutes of cooking, I usually turn the oven onto low-broil and watch carefully just to crisp the bacon a bit more. Remove meatloaf from the oven and let it rest 5 minutes before slicing. Serve with the remaining tomato relish on the side. This is unbelievably moist. Cook's Note: Turkey may be substituted in place of the ground beef, just lessen cooking time to around 40 minutes and only add about 1/2 cup bread crumbs. I hope this meatloaf becomes your world’s best! It truly is mine. Adapted from Tyler Florence’s Real Kitchen. 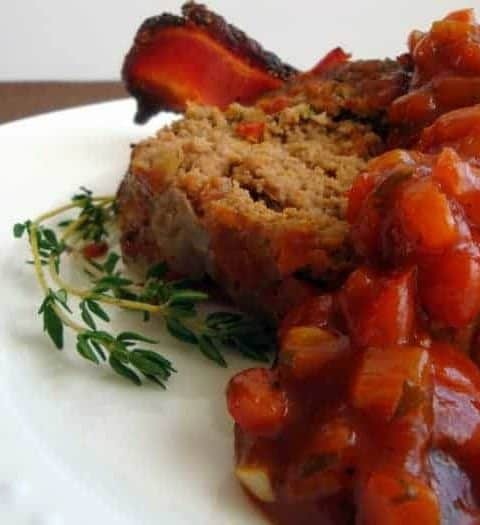 My all-time most favorite meat loaf recipe!